Nitrosamines are considered the most carcinogenic (the most cancer-causing) agents in cigarette smoke. In 2011, scientists measured the amount of nitrosamines in meat products. This is a table showing quantities of seven different preformed carcinogenic nitrosamines. So, from chicken meatballs, to pork, turkey slices, hot dogs, foie gras, and sausage, processed meats come prepackaged with carcinogens—thanks to the transformation that occurs from nitrite to nitrosamine, in the absence of phytonutrients. How much is there in meat, compared to tobacco? The Cancer Project uses this graphic to warn consumers about the cancer risks associated with processed meat—which kind of suggests a few hot dogs may contain the carcinogenic load of a pack of cigarettes. Turns out they hit it right on the head. Filtered cigarettes have 11 times more nitrosamines and nitrosamides, but that’s per kilo. Cigarettes have less than a gram of tobacco each. Hot dogs are about 60 times heavier, and so four hot dogs has more than a pack of 20 cigarettes. Here’s how much nitrosamine you can measure over the course of a day in someone eating ham, or sausage. And here are two representative graphs of how much is flowing through the bodies of those eating vegetarian. In fact, you can take people who eat smoked or canned meat, put them on a vegetarian diet, and very quickly see a drop as their body starts detoxifying itself within a day or two. Here’s a chart of the effect of changing from a meat diet to a vegetarian diet on urinary nitrosamine levels—a reflection of what’s flowing through their bloodstreams. Looking at four different carcinogens, you can see day one and two eating meat, then vegetarian days three through five, and you can see the dramatic drop—though it doesn’t drop as low as those on the control vegetarian diet. Presumably, though, a few more days eating vegetarian, and their bodies would be able to flush out the remainder. Campillo N, Viñas P, Martínez-Castillo N, Hernández-Córdoba M. Determination of volatile nitrosamines in meat products by microwave-assisted extraction and dispersive liquid-liquid microextraction coupled to gas chromatography-mass spectrometry. J Chromatogr A. 2011 Apr 8;1218(14):1815-21. Epub 2011 Feb 13. Haorah J, Zhou L, Wang X, Xu G, Mirvish SS. Determination of total N-nitroso compounds and their precursors in frankfurters, fresh meat, dried salted fish, sauces, tobacco, and tobacco smoke particulates. J Agric Food Chem. 2001 Dec;49(12):6068-78. Akopyan G, Bonavida B. Understanding tobacco smoke carcinogen NNK and lung tumorigenesis. Int J Oncol. 2006 Oct;29(4):745-52. Stich HF, Hornby AP, Dunn BP. 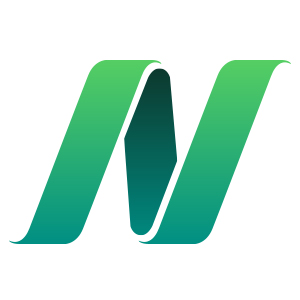 The effect of dietary factors on nitrosoproline levels in human urine. Int J Cancer. 1984 May 15;33(5):625-8. Images thanks to the CancerProject.org and Cory Salveson. Republishing "Prevention Is Better Than Cured Meat"
Eating a plant-based diet can also help detoxify your body from some of the industrial pollutants found higher in the food chain, but it takes substantially longer than a few days. See Industrial Pollutants in Vegans, and Flame Retardant Chemical Contamination. For a comparison of the levels of different carcinogens in meat, see Food Sources of PCB Chemical Pollutants; Carcinogenic Putrescine; Hair Testing For Mercury; Dioxins in the Food Supply; and Carcinogens in Roasted Chicken? For more context, check out my associated blog posts: Using Greens to Improve Athletic Performance; Eating To Extend Our Lifespan; Harvard’s Meat and Mortality Studies; Adding FDA-Approved Viruses to Meat; How To Reduce Dietary Antibiotic Intake; Avoiding Cooked Meat Carcinogens; and How Chemically Contaminated Are We? Eating a plant-based diet can also help detoxify your body from some of the industrial pollutants found higher in the food chain, but it takes substantially longer than a few days. See Industrial Pollutants in Vegans and Flame Retardant Chemical Contamination. For a comparison of the levels of different carcinogens in meat, see Food Sources of PCB Chemical Pollutants, Carcinogenic Putrescine, Hair Testing For Mercury, Dioxins in the Food Supply, and Carcinogens in Roasted Chicken. See all 1,500 or so topics I cover here. I really enjoy your site and your videos! Question: How do “natural” meat products stack up? We sometimes buy hotdogs and bacon with “no added” nitrates as well as some meat products that only have nitrates from celery power. Are these just as bad as standard meat? Thanks for all the info! Dirty, stay tuned for Dr. Greger’s next video describing how when animal fat AND antioxidants are present, the nitrosamines are much more potent. No added nitrites is a clever way of disguising plant based nitrites and putting them in meat, such as the example you gave with celery. Terrific insight and education in all these videos, Dr Greger. Very appreciated. They are presented with great research, supported from a scientific background yet are explained and simplified for all to understand. You do a fantastic job and are performing a very helpful service. Really glad I have found this site, I have recently, for the past three weeks been following a low fat completely Vegan diet and have already noticed definite improvement in my overall health…..enough to sure keep me motivated for it’s continuation. All your information just makes it that much clearer. Is it possible/ok to ask some related nutritional questions as they arise? Absolutely! I’m so glad you’ve found my work to be useful. 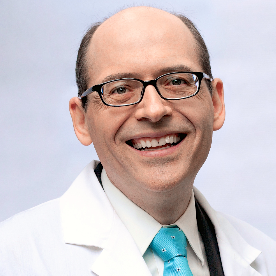 Dr. Greger is a star and needs to be booked on the Dr. Oz show! He would reach so many people with one appearance and could save a lot of lives. I hope someone is working on that!! Thank you so much for all of your great work! My husband and I have been vegan for the past 1.5 years and really enjoy watching your videos. We have told as many people as possible about this site! Our question is, do fake meats like “Smart Dogs,” “Smart Bacon,” “Boca Burgers,” etc contain nitrosamines? Since the pinkening effect of nitrites in meat is due to the binding with heme iron, because there’s no blood in plant-based meat substitutes, I can’t imagine them adding nitrites–but always good to check the label! I was wondering doctor, whether you’ve rated conventionally raised animal products (or in the case of fish, wild-caught) for toxic ingedients or affects across the board.. For instance, dioxins in fish, omega 3/6 balance of farm raised animal products, the affects of grain feed on animals, hormones (both growth and lactating), etc. I’m an athelete and I try to get a fair amount of complete animal proteins and going completely organic in that regard is a little expensive for my taste at this time. So can you tell us what the most toxic animal products (across the board) might be? I myself am a competitive rock climber and you should note that all whole plant foods contain complete proteins. Lack of protein is not an issue when one is vegan. I noticed significant strength gains when going whole foods plant based and Vegans in fact have more circulating protein than do omnivores. Fish is by far the most contaminated. Even wild caught fish is quite high in all known contaminants found in fish, from dioxins, DDT, drug residues, mercury, and more. There is no “best” option with fish, because we should strive to keep pollutants out of our body and this simply isn’t feasible with fish. As for poultry, conventional meat is highly contaminated but organic poultry was found to have arsenic in it as well. Chicken and eggs are the top sources of arachidonic acid in the diet. Arachidonic acid may play a role in cancer, asthma, inflammatory bowel disease, rheumatoid arthritis, and other autoimmune disorders. Chicken and eggs are the top sources of cholesterol which we should strive to have our intake remain at 0. As for beef, a significant increase in all cause mortality is associated with beef. Grass fed beef and conventional beef has very little nutritional difference, the flesh is still the same. Thanks Toxins, but I’ve already watched all the doctors videos. I’m looking for a scale of most to least toxic foods or food elements so that I may pick my poisons, so to speak. And I don’t buy the cholesterol=bad thing because I ate upwards of 3 dozen eggs for over 5 years and when I got my cholesterol profile checked last fall, every variable, including HDL, LDL Triglycerides and a couple others all checked out “optimal”. One, I think, was “sub-optimal”, which is just shy of the ideal score on a scale that had 5 grades. I have no problem with eating raw, organic, cage-free eggs. There’s plenty of evidence that Atkins, Taubes and company had it right in regards to the cholestrol debate. That isn’t to say that factory farming isn’t rife with reasons to eat organic meats AND vegetables. Note* I eat a moderate amount of monosaturates and omega-3 polys from nuts and seeds to counteract the LDL so I suppose that has something to do with my good cholestrol. I only cook with coconut oil (saturated fat) as well. The cholesterol in eggs is one concern, as the doctor points out, but just because your fasting cholesterol is “optimal” for the American standard doesn’t necessarily make you healthy. As soon as you eat one egg, you expose your body to several hours worth of oxidative stress, inflammation of ones arteries, endothelial impairment (what keeps you blood running smoothly) and increases the susceptibility of LDL cholesterol to oxidize (beginning stages of heart disease). The keyword here is oxidize. Nuts are a very poor source of omega 3 fats. In fact, walnuts, flax seeds and chia seeds are the only good sources of omega 3. The other nuts all have outrageous ratios of omega 6:omega 3. The ratio we should strive for is 4:1 or under. If you have a high ratio of omega 6 to 3 then your omega 3 doesn’t get used effectively and you end up with a large excess of arachadonic acid. If you have watched Dr. Greger’s videos, im sure you are aware of the dangers this entails. Eggs are a very high source of arachadonic acid as well. Eggs are by no credible standard “healthy”. Coconut oil is also another junk food that is unhealthy. It is 91% saturated fat, and 23% of that saturated fat is of the worst type. This 2 year study looked at coronary artery lesions of the heart after consuming different types of fat. Polyunsaturated fat (omega 3 type of fat) Monounsaturated fat (75% of which makes up olive oil) and Saturated fat (the kind found in mostly animal products and coconut oil). They looked at angiograms a year apart after intervening with increasing one type of fat in each group. All 3 fats were associated with a significant increase in new atherosclerosis lesions. Most importantly, the growth of these lesions did not stop when polyunsaturated fats and monounsaturated fats were substituted for saturated fats. Only by decreasing all fat intake including the polyunsaturated and monounsaturated fats did the lesions stop growing. The best advice I can give you based on the nutrition research is to completely get off the eggs and do not consume coconut oil. These are non beneficial, harmful foods. when I said 3 dozen eggs, I meant 3 dozen eggs a week (upwards, actually). And why are you going into a tirade about how ‘nuts are a poor source of omega 3’. Omega-3 isn’t the only mechanism for fighting HDL. For starters, polyunsaturates in olive oil and almonds boost HDL. I eat Walnuts, Almonds and Pecans primarily, peanuts and/or cashews as an occasional guilty pleasure and I eat flax by the truckloads. Not all saturated fats are created equal either. Coconut oil is palmitic acid and is treated quite differently by the body other fats. Saying you’re going to get high cholesterol from eating cholestrol is like saying you’re going to get pulmonary adema from drinking water. The body is a complex machine and it’s becoming more evident that sugar is the actual monster, not fat or even saturated fat or cholestrol. of course we can all agree that trans-fats are good for nobody. Im sorry if it appeared i went into a tirade. The food choices you are choosing to eat are not healthy and unsupported by the scientific literature. I was pointing out that eggs are unhealthy, as is coconut oil, or any oil for that matter. If you can provide some scientific evidence for your claims then please share it with us. If coconut oil is so unhealthy, and I was concerned myself about the saturated fat until I read that organic raw coconut oils fat is different, why are so many singing it’s praises?! There are a few other videos regarding coconut oil that may answer your questions. Hope these help!! I asked you to show the health benefits of eggs and coconut oil through the use of a scientific paper, not an article talking about cholesterol. A scientific paper comes from a peer reviewed journal, like the national library of medicine. cholesterol has been on trial for decades. now it’s time for soy, glutens and lectins to get their turn. These are not scientific papers, they also contain many misconstrued data, and the first one lacks any references. Its easy to find stuff on the internet that supports anyone’s view, id start by looking here. If someone wants to discount the overwhelming studies and evidence of the harmful effects of cholesterol then there isn’t much you can do. With all the evidence that animal protein promotes cancer, diabetes, obesity, heart disease, stroke, dementia, etc., it is shocking that most Americans continue to eat animals morning, noon and night. I wish more people would also consider the taking of an animal’s life and the extreme cruelty and suffering that these animals go through to deliver someone a few moments of pleasure on their lips. People just don’t care, their desire is more important than their compassion. Very sad. I love animals but I’ve never seen how they’re prepared for us to eat and I don’t want to! God has given us dominion over the earth. We can eat what we want. Jesus and his disciples ate a lot of fish back in the day and I consider fish to be meat though I know that some don’t. Hello, I wonder what the regulations regarding the nitrates in meat in the EU are, as they tend to be stricter in general. Thank you.